Time to root your Galaxy Nexus now that @Koush has released official Clockworkmod Recovery for the LTE version. We have gone ahead and posted the manual instructions for you, because well, if you have a Nexus you should probably know most of these standard adb and fastboot commands. It’s not hard by any means, especially knowing that you all have the SDK set up after unlocking your bootloader. Should take all of 5 minutes, maybe less. 2. Place that file in your SDK/Tools folder (same place as your adb.exe). 4. Place that file in your SDK/Tools folder. 8. When that finishes, use the volume keys to highlight “Recovery mode,” press power to select it. 11. Choose the “su.zip” file and install it. 12. When that finishes, back out of recovery and reboot the system. 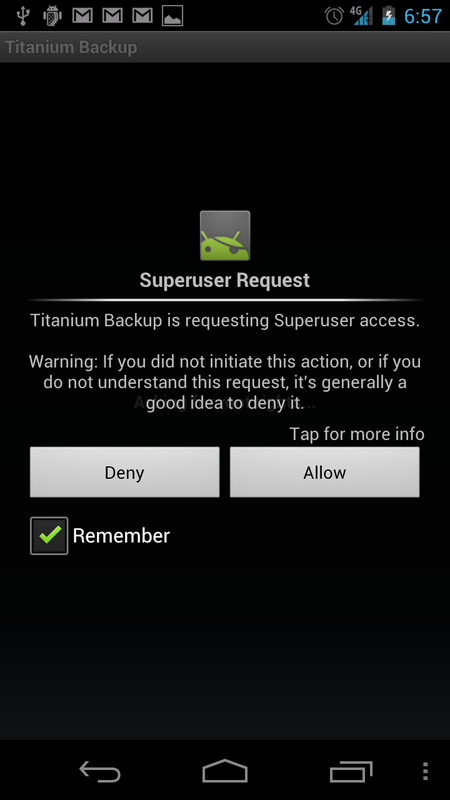 Afterwards, you will want to install ROM Manager from the market and have it re-flash recovery for you. 1. Now that you are rooted and have a custom recovery, it’s time to make your first clean backup. 2. In ROM Manager, flash Clockwork recovery again (it’s the first option up top). 3. Then tap the option to reboot into recovery just below that. 5. Choose “backup” and let your phone create a backup. 6. When finished, back out of recovery and reboot the system.